The John Peter Gabriel House was constructed as part of the original four-building campus at Chew Street in the early twentieth century. 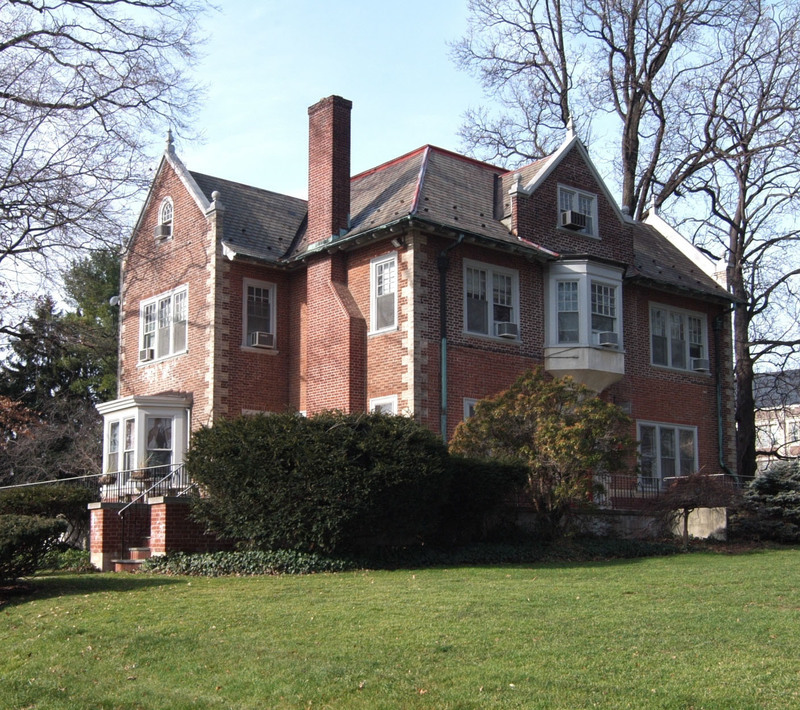 Originally the President’s residence, the two-and-a-half story brick home was completed in 1905, shortly after the more essential Administration Building (Ettinger) and dormitory (East Hall) were occupied. 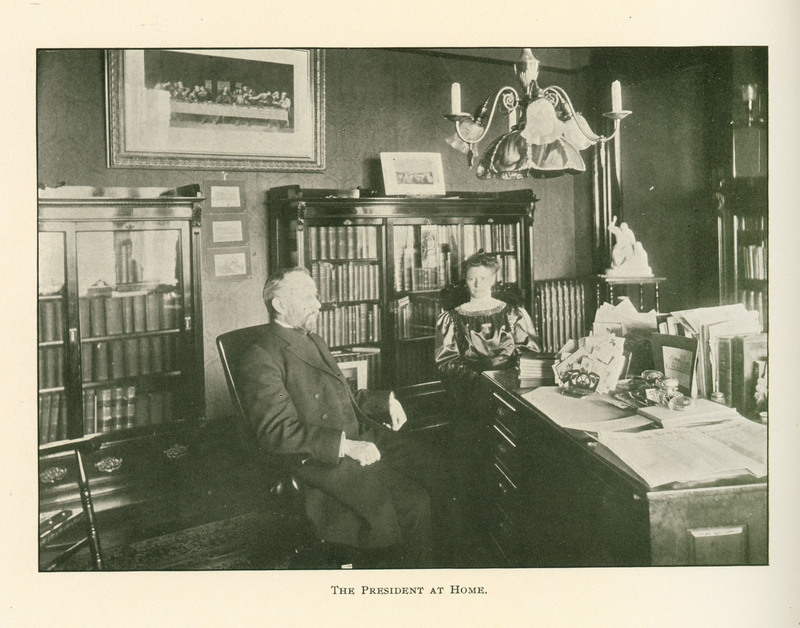 The first residents were President John A. W. Haas (1862-1937) and his wife. Haas was to be Muhlenberg’s longest-serving president (1904-1936), and he not only oversaw the move to the West End, but also envisioned “A Greater Muhlenberg,” the expansion that would lead to the construction of a dining commons, science building, library, and finally, the Chapel, within his tenure. Like the other original buildings, the President's residence was deisgn by Allentown architects Wallace E. Ruhe and Robert Lange. 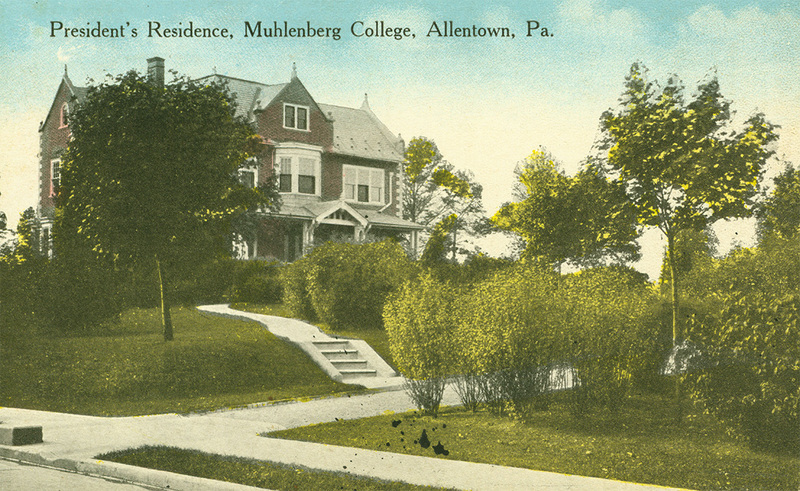 According to The Muhlenberg, a predecessor of the Muhlenberg Weekly, in June 1903, at the time of the cornerstone-laying for the “Main Building” (Ettinger), the President’s residence was originally intended to be built on the south side of Chew Street. This “error” was referenced again in the President's Report of 1946. Tradition has it that when College officials inspected the site at the end of the summer of 1904, the contractors, Ritter and Smith, had already accidentally dug the foundation on the north side of Chew Street. 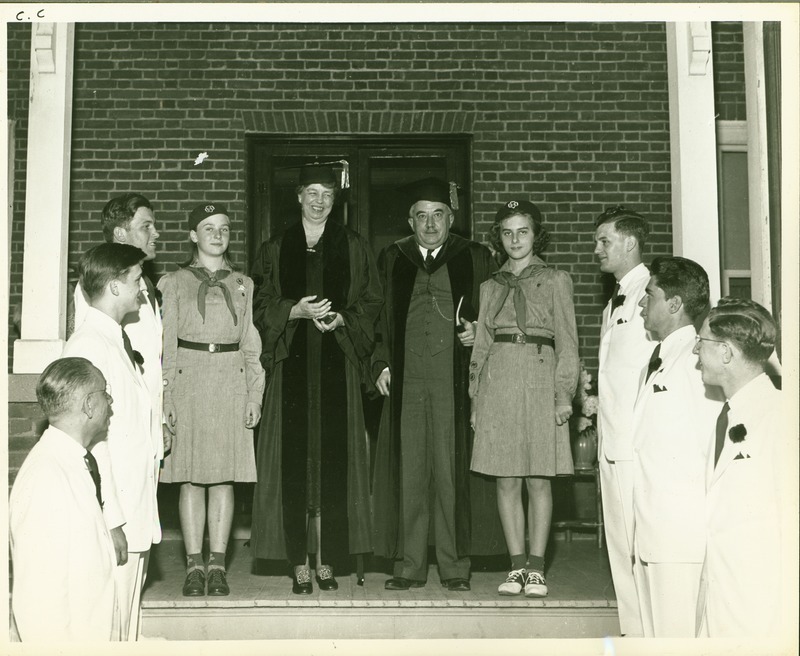 The wooden porch, site of receptions for students and on which Eleanor Roosevelt stood on May 26, 1942, was removed sometime in the late 1950s. 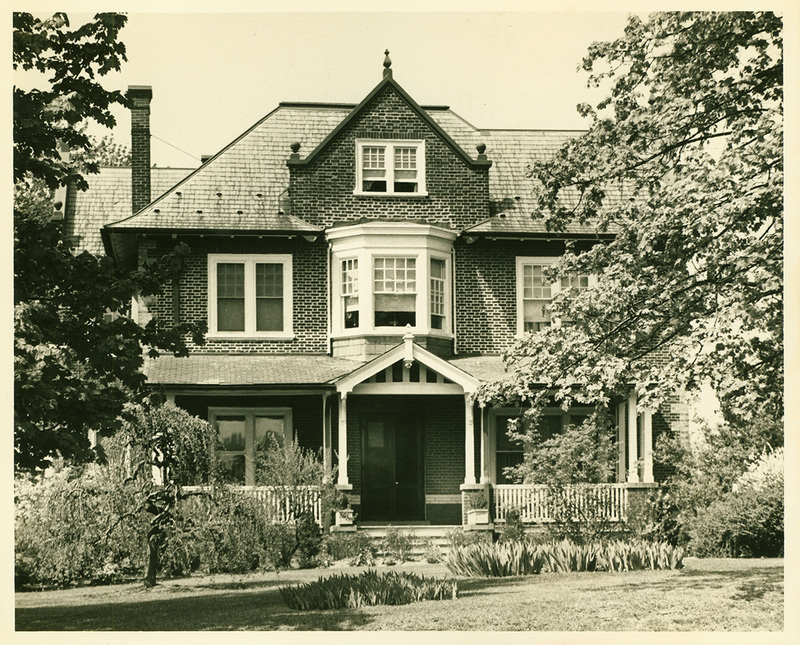 The last President to reside in the home was Erling N. Jensen (1961-1969); he moved to the current President’s House on Leh Street in 1964, and the building became a residence of the Dean of the College. By the 1972-73 academic year, the building was home to the Office of Admissions, as well as other staff and faculty offices. It was christened the “John Peter Gabriel House” in 1975 after the son of Henry Melchior Muhlenberg; General John Peter Gabriel Muhlenberg served under George Washington in the American Revolution and was a member of the First Congress of the United States. 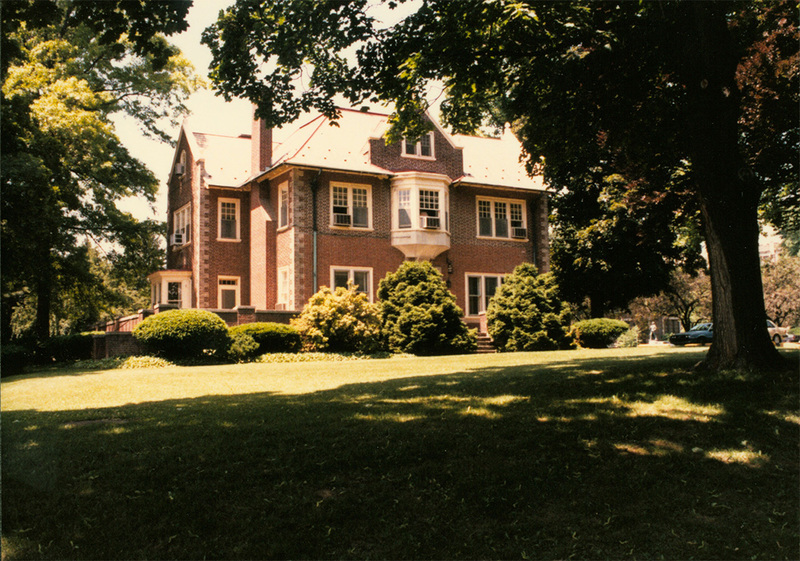 Gabriel House continued to house the offices of the Deans of Admission and of Freshmen through 1989, but by 1990 it held the offices of the Education Department (prior to the construction of the Forrest G. Moyer, M.D. '35 Hall) and the Center for Adult Education and Development. In August of 2002, the Evening College, which had comprised Muhlenberg’s adult education initiatives since the early twentieth century, was renamed in honor of trustee W. Clarke Wescoe, M.D., Class of 1941. The Wescoe School continues to occupy Gabriel House today. 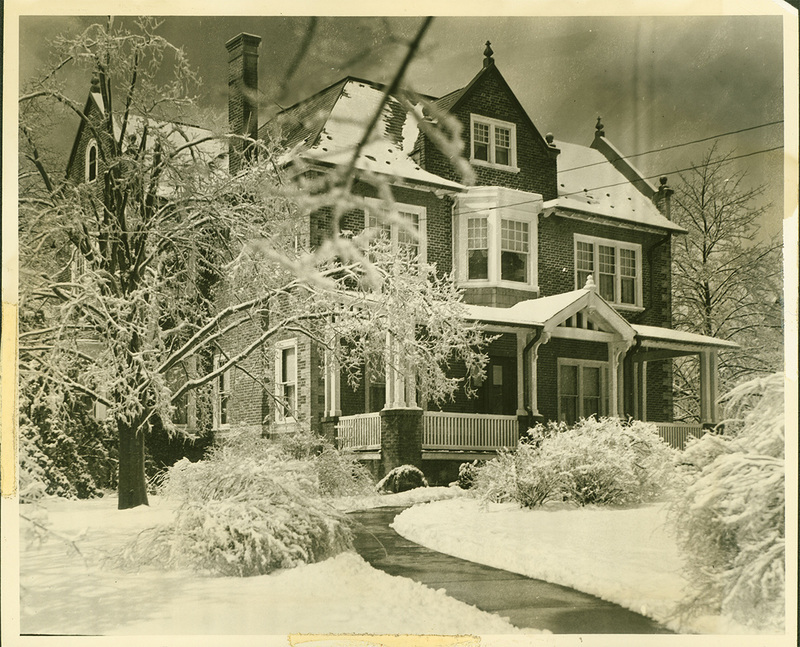 Special Collections & Archives, Trexler Library, Muhlenberg College, “John Peter Gabriel House (1905),” Muhlenberg Pathways to Present, accessed April 23, 2019, http://pathways.trexlerworks.muhlenberg.edu/items/show/5. Published on Jul 30, 2018. Last updated on Sep 17, 2018.